You are here: Home / Age of the Earth / Fossil Footprints on Crete – First Evidence of Humans Killed by Noah’s Flood or Another Young-Earth Mystery? If a global Flood destroyed all humans except Noah and his family just 4350 years ago, where are all the human fossils? This is a question that any young-earth apologist must be prepared to answer. It’s a perfectly natural and appropriate question. After all, according to young-earth creationists (YECs), nearly all fossil remains of dinosaurs, sea reptiles, trilobites, fish, cephalopods, molluscs, brachiopods and quintillions of quintillions of other fossils we find preserved in rock today are said to be the result of their being instantly preserved during this one-time catastrophic event just a few thousand years ago. But if all these fossils represent organisms that had been alive as the Flood waters consumed the earth, where are all the human fossils? Yes, thousands of human fossils have been found but the young-earth community generally agrees that all of these fossils, including all Neanderthals, Homo erectus and many other hominin species, were not the result of a global Flood but rather preserved following dispersal and diversification after Noah departed from the Ark and thus are descendants of his family. So where are all of Noah’s contemporaries that perished in the Flood? Young earth apologetics organizations such as Ken Ham’s Answers in Genesis realize this is a common question and they dutifully provide an “answer” in their books, pamphlets and website materials. 1) Many other groups of animals have sparse fossil records. 2) Humans populations may not have been very large and so fossils would be very rare and we simply haven’t found them yet. 3) Humans were able to evade the flood waters during the first stages of the Flood perishing late in the Flood therefore not buried but rather rotted without burial. 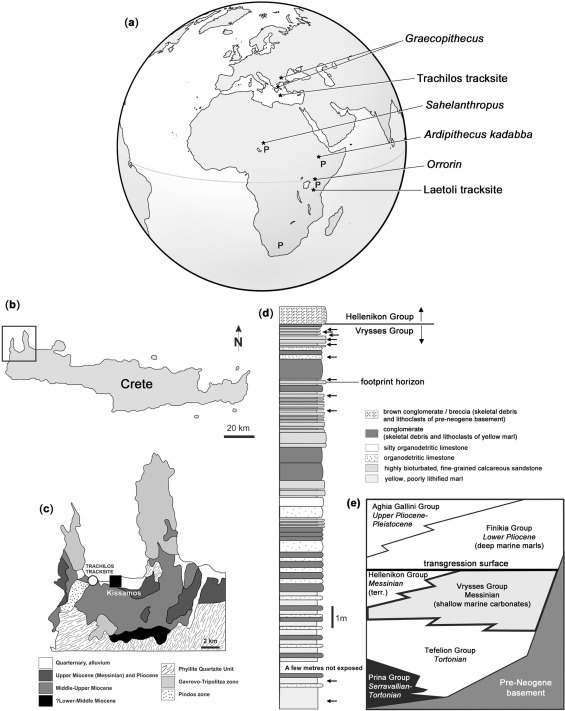 4) Humans lived in isolated pockets and those spots have not yet been discovered in the fossil record. If the reader doesn’t find these “answers” fully satisfactory, Snelling and Hodge both provide the ultimate escape hatch by appealing to the Bible which says that God said he would destroy all humanity. They interpret this to possibly mean that when animals were killed their bones were preserved but God made sure that the bones of all humans killed would not be preserved. So their final appeal is to a miracle. God intervened to be sure the Flood waters would not preserve any evidence of man including any artifacts of their life before the Flood. Despite, or maybe because of, these “answers,” it is not surprising that there have been many claims from YECs of human remains or cultural artifacts being found in rocks that are presumed to be the result of a global flood. There is a great desire to find the smoking gun evidence that man has existed since the very beginning of creation—or at least since the 6th day—which they believe would be compel the non-believer to accept their interpretation of the Bible’s account of origins. What if there were a new discovery that provided evidence that humans walked the Earth before Noah’s family departed the Ark? Surely this would be a watershed moment for YECs. Thanks to a recently publicized discovery, the creationists may finally have their evidence but so far they don’t seem very excited and I think I know why. Has the smoking gun evidence of pre-flood man finally been found? Last week, the latest in a string of amazing paleontological discoveries this year was unveiled (Go to original research article). Fifty human-like footprints have been found preserved on a rock slab on the Mediterranean island of Crete. These were noteworthy for a number of reasons but it is their age—about 5.7 million years—that has drawn the most attention. 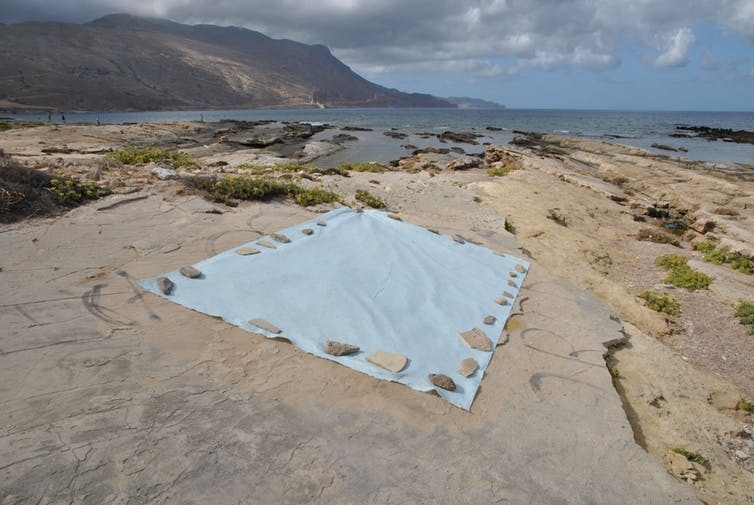 A tarp covers some of the footprints at this western Crete site as authorities prepare to cover the site to prevent further looting which has occurred at the site in recent weeks. While I have found several young-earth creationists that have commented on the footprints (for example Todd Wood has commented on the footprints) they don’t provide an explanation for the existence of the footprints within the context of their paradigm choosing instead to focus on how these footprints may challenge the conventional understanding of human origins. Bodie Hodge: I want you to take note of where these are found. These are found on the island of Crete, out in the middle of the Mediterranean Sea. So, they find these new footprints and they say they are unmistakably human-form. Now did they think about some of this stuff. I wonder how. What’s the depth of this stuff. If these go back 5.7 million years ago a long time before human intelligence actually every arrived, and yet these things were good enough to build ships and sail there. Ken Ham: I think they flew there. Hodge: Maybe they flew there. Ken Ham: They could have invented airplanes. Hodge: Or helicopters, and they wouldn’t need a runway. Hodge: Look what it says here. The prints were found in a type of sedimentary rock that formed when the Mediterranean briefly dried out 5.6 million years ago. So, consider this. They say that the footprints were laid down 5.7 million years so for 0.1 million years the footprints sat there, never eroded, had any issue and then the sea dried out and made the prints. A sample of footprints found preserved in rocks in western Crete. What do Hodge and Ham think of the footprints themselves? They don’t doubt their existence but who do they think is responsible for making them? I’m not sure. Hodge refers to “these things” when referring to the trackmaker. Does that mean he believes these human-like footprints were made by something that was not human? This is possible since Ken Ham and Answers in Genesis believe that most species of Homo such as Neanderthals, Homo erectus, Homo floresiensis, etc. (but not Homo naledi, for example) are all “fully human” and descendants of Noah and ultimately Adam and Eve but that other hominins such as the Australopithecines which were also bipedal walkers are not descendants of Adam and Eve. Furthermore, they joke about evolutionists believing that supposedly very ancient humans that could barely use stone tools must also believe they had great technology to get to this island. It seems that Hodge is naively assuming that geologists believe that 5.7 million years ago Crete was the same isolated island it is today. I wonder if Hodge or Ham has ever looked at map of the Mediterranean basin showing water depths? Have they read the extensive literature about the geological changes that have occurred to Crete including uplift and subsidence of the landmass over time. Had they done these things they would realize that Crete has not always been an isolated island. In the past it was an extension of the Greek peninsula and thus connected via land bridge to southern Europe. Do they know that there are fossils of elephants and footprints of hyenas that are younger than these human-like footprints on the island? Hence, there was no need in the past for any sophisticated technology to get to what today are islands. The past was not the same as the present. Maybe most egregious, Hodge supposes that geologists propose that the footprints were made 100,000 years before being covered! Does he really believe that geologists who found the prints believe that after the prints were formed then just sat exposed on the surface for 100,000 years only to finally be covered and preserved by the sea drying out? Ken Ham seems to find this scenario quite unbelievable. Well, yes, he should be skeptical. The problem is that he believes that Hodge knows what he is talking about. It is apparent that neither of these men bothered to carefully read the original article before bringing this commentary to their large audience. Part of the problem stems from their trusting sources such as Daily Mail, Fox News, CNN and other popular press news outlets to provide accurate reporting of science stories. These are often already watered-down sensationalized reports, and when Ken Ham then adds his sensationalism on top of them, the final product can have little semblance to the original claims of the research scientists. The article is incorrect or at least has oversimplified it to the point of creating a false impression. The footprints were found in sediments below sediments formed when the Mediterranean Sea evaporated. Furthermore, the footprints were not found in a sedimentary layer immediately below the deposits left behind by the sea drying up. Rather, they were covered by other sediments (>2 meters, see figure below) long before that desiccation and precipitation event and the evidence is presented right in the article. The significance of the sediments laid down by the sea drying out is that they provide a solid time marker that has been thoroughly dated in many locations in the Mediterranean basin at 5.6 million years using, among other methods, index fossils combined with radiometric dating, neither of which should yield consistent results in a global flood scenario. The footprints were originally about two meters below these known-age deposits. Thus the rock two meters above provided a minimum age for the footprints, so the researchers derived an estimate of around 5.7 million years for them. This figure is from the original article. The geological column (d) is of special interest here. It shows where the footprints are found in context with other rocks found in the local region on the western end of Crete. Ham and Hodge poke fun at “secular” scientists as if they can see problems that the latter cannot. However, they seem completely oblivious to the fact that these footprints are at odds with their Flood geology hypothesis of Earth’s history. Why? Because the fossils are found below what had been a thick layer of precipitate rock deposits formed during an significant evaporative event – called the Messinian salinity crisis – that, as best I can tell from the YEC literature (see references), young earth creationists believe formed by the action of a global Flood. If these footprints were buried under rocks supposedly formed during a global Flood, one would logically conclude that the person that made these footprints must have made these footprints during or before said Flood. We could also conclude that they were not descendants of Noah’s family, as they would be contemporaries at the latest. More pointedly, the YEC must conclude these footprints were somehow left by descendants (there were more than one set of footprints) of Adam that were outside of Noah’s ark but somehow survived a global flood long enough to walk (not run) on top of a large stack of sediments that were laid down earlier in the Flood (and were somehow solid enough to walk on) which then laid down another two meters of sediments before depositing salt precipitates all while being in a world covered by water! (See Footnote 2 about Oard’s YEC understanding of the Messinian salinity crisis—the epic drying of the Mediterranean Sea). Hollywood couldn’t make up a more unrealistic scenario. Instead of an exciting confirmation of a young earth, the footprints are a double-edged sword. They represent the first definitive preserved evidence of “pre-Flood” (according to some—others, like Kurt Wise, place the flood boundary at the K-Pg boundary) man that YECs have desperately wished to find. However, the geological context in which they are found makes no sense in a global flood scenario and so they aren’t able to celebrate this discovery. They can’t explain the footprints as the result of Noah’s descendants because they are found underneath sediments that had to have been deposited on top of the footprints and then turned to stone after the Flood. The footprints themselves would seem to be utterly out-of-place given they would have had to have formed during a world-wide flood. Maybe this is why young-earth creationists have been reluctant to offer their own “interpretation” of the origin of the footprints themselves. They don’t seem to know what to think of them. 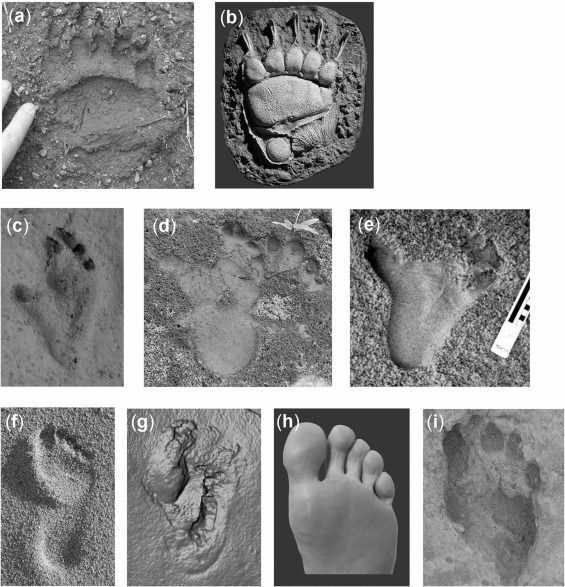 The footprints are big news so they can’t be ignored so they have chosen to focus their attention, and that of their audience, on potential difficulties they raise for conventional views of hominin migration. (Footnote 3). I’m not sure if Snelling read the original research article or was simply responding to popular press reports much as Ham and Hodge were above. I can’t be sure because I don’t know of any place that Snelling has addressed the evidence of the Mediterranean sea drying up, but he should realize that the rock strata above the footprints are at odds with his suggestions that the footprints were made after the Flood, according to most YEC reckonings of which strata were laid down during the flood. Even if YECs might disagree about the age and origin of the rocks above the footprints, to suggest these footprints were made by a hominid or ape after Noah’s Flood makes no sense. Consider that Crete has a long archaeological record including 100,000 year old stone tools, preserved evidence of settlements that are 7000 years old and then sophisticated Minoan cities from 3500 years ago. All of these preserved remains of human occupation must be younger than the footprints since the rock strata the footprints are found in lie below all other archaeological remains. The evidence from these archaeological sites demonstrates that thousands of years ago this island looked very much as it does today. But the footprints are preserved in sediments that were laid down when the island looked much different. Furthermore, the sediments were covered and had to turn to stone. Then the whole region was lifted up by tectonic forces and had to erode to the point that the footprints were exposed at the surface. Snelling’s quote does raise a possible explanation for the footprints that YECs might eventually rally around. They could propose that the footprints are not human at all but rather belong to Australopithecines which many YECs believe are a “kind” of upright walking ape that was not a descendant of Adam and Eve. However, whether ape or human, the footprints still raise the question: how could any animals be walking around leaving tracks after the Flood at this location or have left them in the later stages of a global Flood? For YECs, these fossils initially might look like a potential smoking gun. They seem like an opportunity to claim that unambiguous evidence of human-like individuals that are not descendants of Noah’s family has been found. This could have been a watershed moment in the creationist movement hailed as the proof that man did perish in a global Food. But further examination of the geological context of these fossil footprints should quickly dampen any YECs enthusiasm. In fact, rather than the smoking gun the footprints instead are a conundrum for the young-earth advocate. If they trumpet this discovery as a score for the young earth they will only find that they have shot themselves in the foot. How could a person who perished in the Flood be responsible for leaving footprints made in late-Flood sediments? The presence of these footprints in this particular location is equally if not more unexpected by the young-earth apologist than by any conventional model of earth’s history. 1) Here is a quote from Snelling article “Where are all the human fossils.” He correctly casts doubt on all reports of human artifacts said to be the result of Noah’s flood. “Thus, should genuine human fossils or artifacts from the time of Noah’s Flood be found, then it is mandatory that proper scientific procedures be followed to document the geological context, in order to guarantee that the scientific significance of such a find is unequivocally demonstrated. Regretfully, of course, the hardened skeptic would still remain unconvinced, but at least such a find may still awaken some in the apathetic public and a few of the more open-minded scientists. 2) Michael Oard, a YEC that has written much on climate and past environments has also written about large evaporite deposits. He is convinced that evaporate deposits are not possible after the Flood and thus must somehow be deposited during the Flood. On Crete there are layers of rocks associated with the massive Messinian evaporite and precipitate deposits which are uniformly dated all around and underneath the Mediterranean Sea to 5.6 to 5.3 million years ago and these footprints are found below them. Because Oard believes these deposits were formed in latter stages of a Noahic Flood he logically would have to conclude these footprints were formed by someone attempting to escape Noah’s Flood outside the Ark. 3) The footprints don’t upend or threaten conventional understanding of evolutionary theory but they do provide an update to what was known before about hominin migration and population distribution. Prior to their discovery, there was only a single disputed piece of evidence that bipedal hominins had lived in Europe this long ago (read about Oreopithecus). Bipedalism this old has generally been considered to be confined to Africa. 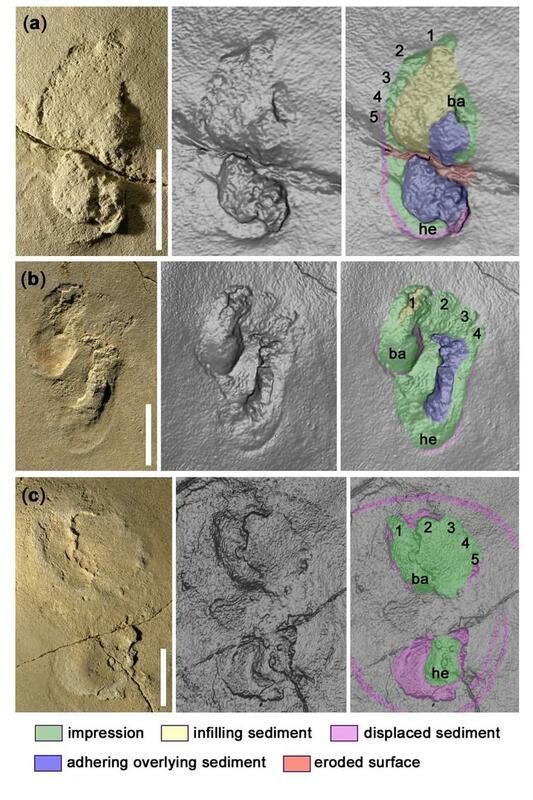 These footprints are evidence that our old understanding of where bipedal hominins lived was not correct. Changing our view of where bipedal hominins lived in history doesn’t have anything to do with the validity of evolutionary theory, though the specific understanding of human evolution may change. For more about the implications of this find with respect to human origins read this article at BioLogos. If AiG were scientists or doing science or had a passing interest in science, a scholarly and careful commentary on the actual article would be a great contribution to their website. When do you think we’ll see that? I wouldn’t hold my breath. Unless they feel that a large portion of their audience is going to have questions about these footprints they won’t feel any compulsion to provide anything more cursory comments. I also think if a YEC sits down and really starts to examine the fossil site very closely they will realize how difficult it is to explain in their worldview but rather than admit that they will simply not comment. My guess is that if we hear anything more it will be to take Snellings position and question that they are human-like and if they can say they are just a walking-ape they won’t feel compelled to explain the geological context of the footprints because their audience won’t care at all about the origins of some other ape. Isn’t multiple layers of anything really a problem for YECs, yet they seem to have had enough cognitive dissonance to deal with that so far. I still fail to understand the YEC view that every fossil must be either “fully human” or “fully ape”. Most things God created are extinct, it stands to reason by shear chance alone that the most anatomically human-like thing God created is now extinct. Therefore, you should expect to find some fossil species that are more human-like than chimpanzees/bonobos. Excellent work as usual! Thank you! I confess that I have been disappointed that voices from YECs seem to be absent during this type of discussion of specific evidence. When general interpretations are the subject a lively discussion occurs, yet with regards to evidence the response seems less so. I am curious as to any reasons for this. This is mainly because no evidence supports their claims and much of it falsifies them. Of course these are footprints (and they don’t appear to be Homo sapien footprints) rather than actual fossilised bones. When there are bones found the AiG science deniers sometimes try to deal with such cases by claiming that other now extinct hominin species were simply ‘archaic’ humans ie different to people alive today but still members of our species: https://answersingenesis.org/human-evolution/origins/another-variety-archaic-human/ As for the sarcasm re helicopters to fly them from Africa to Crete (had it been an island and the blog suggests that in the past of 5 million years ago it was not), maybe that is because YECs think our species was created worldwide on ‘day 6’ thus there was no need for the first members of our species to somehow travel from Africa to Europe and beyond (over the sea unless the Med was dry at the time).